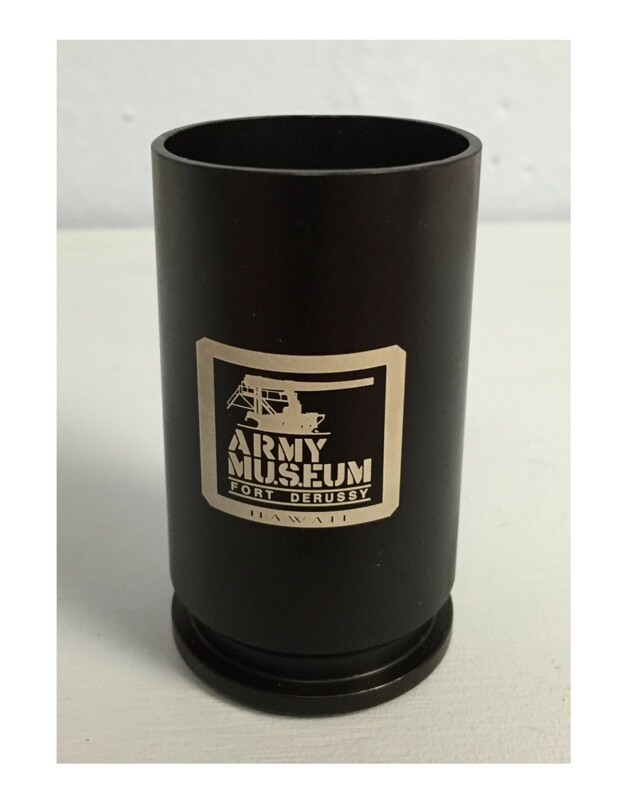 This shot glass is made from a once fired 100% inert demilitarized collectors round, 30 X173 MM, utilized in a GAU-8/A Avenger, A/A 49 E-6 Gun system. Shell casing - refinished aluminum. The A-10 Warthog (Thunderbolt II) and it's GAU-8/A Avenger seven barrel Gatling-type cannon system entered the service in 1977. Shot glass is 3' high by 1 1/2" in diameter.